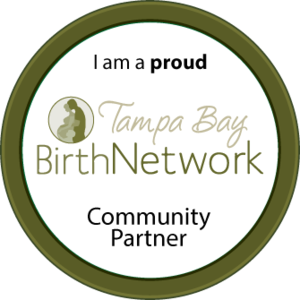 In the State of Florida we are beyond lucky to have lots of out-of-hospital birthing options for mamas, including both free-standing birth centers and dedicated homebirth midwives. Each community in the state has something a little different to offer birthing women. Luckily here in the Tampa Bay Area we are home to one very busy birth center, as well as 6 other centers in surrounding counties. A few of those centers offer homebirth for clients as well. We also have a handful of homebirth practices of varying size and styles. There has been such a huge growth in our birth community and options over the past 7 years! Something that drives my midwife brain completely batty though, is when I hear families claim that they are having a birth center birth because they are "just not ready for a home birth." I want to take a moment to set the record straight for everyone. IN THE STATE OF FLORIDA- A BIRTH CENTER BIRTH IS ESSENTIALLY THE SAME AS A HOMEBIRTH. A LICENSED MIDWIFE (or out-of-hospital Certified Nurse Midwife for that matter) IS A LICENSED MIDWIFE, WHETHER SHE IS PRACTICING IN YOUR HOME OR HERS. "We're just not ready for a homebirth!" "A birth center has more equipment than a homebirth would." "The birth center is just a happy medium between home and the hospital for us." 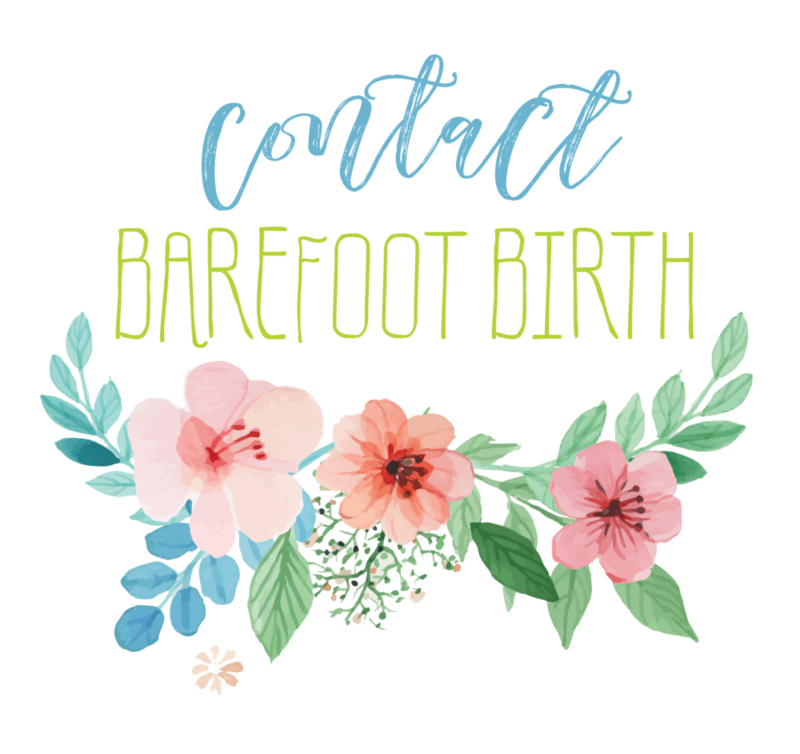 "We just don't want to deal with the MESS of a homebirth"
The bottom line is this--as responsible homebirth midwives, we carry everything a birth center has to home births with us. Our assistants leave your home cleaner than we found it, AND we even do your laundry! We are the same midwives who would attend you at the birth center when we come to your home, our training and experience is not replaced by bongo drums the minute we cross your threshold. If you are comfortable at a birth center but think a homebirth is "too dangerous", it's time to check in with the friendly facts. So next time you say you are using a birth center "just in case," remember that you are simply having a homebirth in someone else's "house." Unfortunately for a lot of women, using birth centers in Florida can be a bit more restrictive than giving birth at home. For example, women who have had any previous uterine surgery (see also: Cesareans) are not legally able to be cared for prenatally or deliver in a birth center. There are also other factors such as how many pregnancies a woman has had, what her hemoglobin/hematocrit (see also: iron) levels are, and whether her pregnancy progresses past 42 weeks that will cause her to be ejected from their care. These tighter guidelines lead to higher transfer rates, and ultimately higher Cesarean rates. Fortunately, with consultation from an obstetrician we are able to have more flexibility with these mamas in home birth practices as we are only held to Florida Midwifery Law & Rule and not the restrictive policies of birth centers' governing organizations. It was frustrating for me as a midwife to be restrained by EVEN MORE law and rule when working in a birth center setting. At the same time, I understood the hang up many people have with choosing home birth that is sometimes seen by "normal" standards as "radical." There was far too much unnecessary stress on mamas to have their babies by a certain cut off and follow other arbitrary guidelines that made me hate the way I had to practice. Then there is the personal side of differences in practice styles. Birth centers, by nature, are going to busier. That is GREAT! It means more women are taking charge of their care and choosing how THEY want to birth. On the other hand, this may feel impersonal to women who are looking for personalized traditional midwifery care. Usually birth centers need to be staffed by many midwives to keep up with the volume. This means you may only have met the midwife who ends up attending your birth a handful of times. There is also the consideration that while many home birth midwives will provide home visits for clients, this is not something larger practices or birth centers can offer. When I was working in a birth center in Clearwater I saw clients back-to-back-to-back with no breaks in between. Clients were scheduled in 15-30 minute blocks and quickly in and out. If I took too long with a particular client, everyone else got pushed back and had to wait. I don't have to worry about this in my small home birth practice now. I schedule my appointments in one hour blocks which may run over or under depending on what the client needs. And families often say that being tucked into their own bed to SLEEP is the best part. No drive home after the hard work of labor and birth. Not to mention there are no trips to make postpartum. We join clients back at their home for their 24-48 hour home visit. We hope that families considering an out-of-hospital birth will meet with as many midwives as possible as they seek the care that is best for their family. You can birth safely and happily in your own home or theirs. We all practice a little differently and in different settings, but we are all working together to provide great care for families in the Tampa Bay area. Have the facts, then have the birth of your dreams!